Daemons Discuss! | Listen Free on Castbox. © 2016-2019 Daemons Domain. All rights reserved. 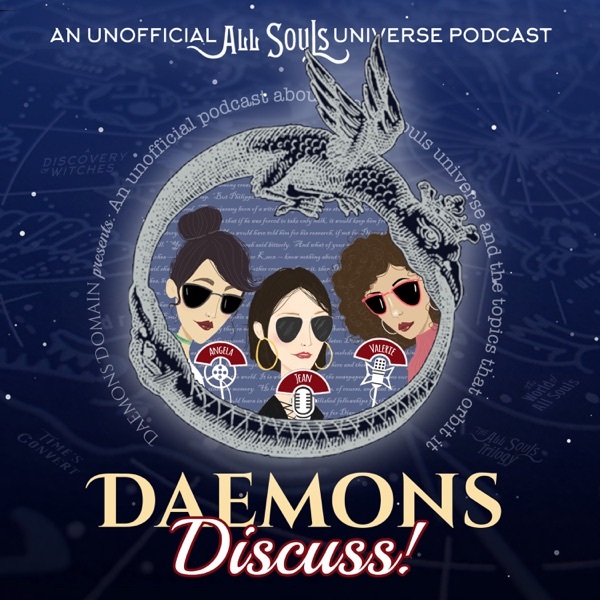 Angela, Jean and Valerie (aka 'The Daemons') are long-time fans of the All Souls universe -- created by Deborah Harkness -- and enjoy discussing the show A Discovery of Witches! During off-season, they return to their first loves -- the books that the show is based on. In addition to covering the trilogy (A Discovery of Witches, Shadow of Night, The Book of Life), they discuss Time's Convert, and The World of All Souls, as well! Join them, they don't bite (they'll leave that to the vampires)! All Souls-ing since 2012, the Daemons run the online fanzine, Daemons Domain - series + fandom news, giveaways & All Souls magic.